We looked at the top 6 Electric Pressure Washers and dug through the reviews from 76 of the most popular review sites including New York Times Wirecutter, Top Ten Reviews, Consumer Reports, BestReviews, Best Products, The Spruce and more. The result is a ranking of the best Electric Pressure Washers. Our experts reviewed the top 6 Electric Pressure Washers and also dug through the reviews from 76 of the most popular review sites including New York Times Wirecutter, Top Ten Reviews, Consumer Reports, BestReviews, Best Products, The Spruce and more. The result is a ranking of the best of the best Electric Pressure Washers. At just 28 pounds, the Sun Joe SPX3000 is lightweight and easy to transport. But don't let its convenient size fool you — this pressure washer packs a punch, offering up to 2030 PSI and an incredibly powerful motor. DWYM Outdoor and Garden Experts plus New York Times Wirecutter, Top Ten Reviews, Consumer Reports, BestReviews, Best Products, The Spruce and 3 more. Along with user reviews from Amazon.
" Among the pressure washers in its price range, the Sun Joe stands apart for making fewer compromises than its competitors." "We found it more difficult to assemble than other models." Offering up to 1900 PSI, the AR Blue Clean is powerful enough to breakup caked-on dirt and stains. It's also incredibly durable, while quiet at the same time. DWYM Outdoor and Garden Experts plus Consumer Reports, Top Ten Reviews, New York Times Wirecutter and 4 more. Along with user reviews from Walmart.
" Effective cleaning, if not with as much power as gas models, helped this AR electric pressure washer score impressively in our tests. So did a smattering of helpful features." "The AR Blue Clean AR383 is one of two pressure washers we tested with a built-in hose reel. While this is a useful way to store your pressure hose, it was hard to use because the hose didn't coil smoothly..."
The Ryobi RY14122 stands out because of its portability — with its 18-pound weight and handlebars, it's very easy to move, while still being a useful cleaner. It also has a powerful motor, offering up to 1700 PSI. DWYM Outdoor and Garden Experts plus Top Ten Reviews, New York Times Wirecutter, Consumer Reports and 2 more. Along with user reviews from Home Depot.
" It also earned top marks when we tested it by cleaning vehicles and driveways, a feat that only one other model matched. This is despite having the third-lowest maximum pressure rating, 1,700 PSI, in our comparison"
"It lacks the larger wheels, the metal wand, and the well-designed GFCI plug of our top pick. At about $150, its price compares well with that of the Sun Joe SPX3000, but we’d recommend the Sun Joe first"
The Worx Hydroshot is unique because it's battery powered, which also makes it incredibly light — it comes in at just 3.7 pounds. It's small but mighty, and perfect for doing odd jobs around the house. DWYM Outdoor and Garden Experts plus BestReviews, Top Ten Reviews, Pro Tool Reviews and 1 more. Along with user reviews from Walmart, Amazon and Home Depot.
" Portable, hassle-free design for quick, easy clean-ups." "While we found the WORX Hydroshot WG629 quite capable when washing a car, it struggled to remove the set-in oil stain from our driveway, so it's not very good for heavy-duty cleaning." We identified the majority of the electric pressure washers available to purchase. 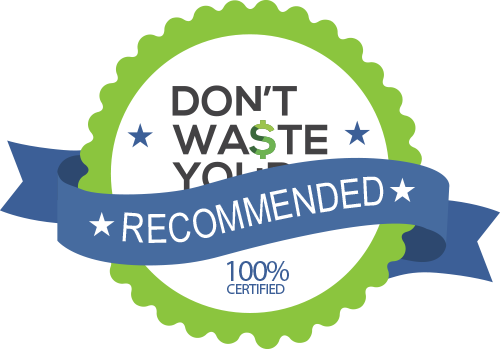 Reviews from our DWYM category experts and analysis of some of the most respected sources including: New York Times Wirecutter, Top Ten Reviews, Consumer Reports, BestReviews, Best Products. Among the pressure washers in its price range, the Sun Joe stands apart for making fewer compromises than its competitors. The Sun Joe SPX3000 is the most powerful pressure washer we reviewed. The better performers among the electric pressure washers we tested clean effectively but, with less power than gas models, take longer to do the job. This Sun Joe is no exception. The Sun Joe SPX3000 is the best electric pressure washer you can buy. It weighs just 28 pounds, and it's on wheels for easy transport. If you’re looking to spend a little less, an electric-powered pressure washer like the Sun Joe SPX3000 should still offer ample power for most household jobs. We found it more difficult to assemble than other models. One minus: You must manually set the trigger lock. And the hose lacks quick-connection attachments to the wand and pump. A few report some durability concerns like leaks and dead motors, however. It’s backed by a two-year warranty. Portable, hassle-free design for quick, easy clean-ups. No other pressure washer is lighter or more portable than the Hydroshot, which weighs 3.7 pounds. I’m pretty impressed with what the Worx HydroShot 20V Max Portable Power Cleaner is able to do around the house. First off, it's battery powered, which made it most portable. For small jobs, you don't even need a hose connection, it can draw water from a bucket. Battery life isn't optimal. Only suitable for smaller tasks. While we found the WORX Hydroshot WG629 quite capable when washing a car, it struggled to remove the set-in oil stain from our driveway, so it's not very good for heavy-duty cleaning. Just keep in mind that it’s a good tool for cleaning and maintenance tasks but you’ll still need a pressure washer for the really tough jobs. If you get WG640 or 629, just understand that, in terms of power, it's just a step up from a hose. If you’re dealing with caked-on dirt, years of grime or even tough stains, an electric pressure washer is likely your best bet for deep cleaning the outside of your home. Whether you need to power wash your backyard fence or make the sidewalk look like new again, an electric pressure washer can likely help you get the job done quickly and easily. A pressure washer produces a high-powered stream of water to help you strip away dirt and other substances from a surface. The pressure washer’s stream is much more powerful than that of your average garden hose and is usually more efficient than trying to scrub away dirt by hand. Plus, who wants to spend their precious free time huffing and puffing while cleaning? An electric pressure washer plugs into a power outlet like any other electric appliance. Generally speaking, electric pressure washers are quieter, smaller and lighter than gas pressure washers. They’re typically best for small projects and they require less forethought than gas models — all you have to do is plug the pressure washer in, rather than running to the gas station to fill up on gas. You can purchase electric pressure washers with varying levels of power, depending on the types of jobs you think you’ll be doing most often. They range from being able to tackle heavy-duty, commercial-grade jobs to helping you clean the summer’s dirt and dust off your patio furniture. The Sun Joe SPX3000, for example, can tackle light, medium and heavy-duty cleaning projects. You’ve probably heard of using your electric pressure washer on your siding or driveway, but have you considered using it to clean out your exterior (or interior) garbage cans? Think about it: all the gross stuff that leaks out of the garbage bags and collects at the bottom. Use your electric pressure washer to get rid of the funky smell and start fresh. This is a great project for spring cleaning, when the weather is nice enough to gather up all the trash cans in your home, take them outside and give them a deep clean. Voila! No more stinky garbage cans. One of the most important metrics to consider before purchasing an electric pressure washer is “PSI,” which stands for pounds per square inch. This metric is essentially a measure of how much power your electric pressure washer produces. The PSI generally ranges from 1300 to 3000, depending on the power you need to tackle the task at hand. Some pressure washers are better for small jobs around the house, while others are designed for more difficult jobs in a commercial setting. A light-duty PSI of up to 1900 is good for washing outdoor patio furniture, vehicles and other light jobs. The Ryobi RY14122, for example, has a PSI of 1700. A medium-duty PSI ranges from 2000 to 2800 and is generally good for patios, fences and decks. The Sun Joe SPX3000 generates a PSI of 2030. A heavy-duty PSI is typically in the neighborhood of 2800 and beyond and is good for prepping surfaces for paint and removing tough stains. In addition to its power, you’ll also want to consider the volume of water produced by an electric pressure washer. While the power tells you how much force the electric pressure washer will use when stripping away dirt, the volume of water tells you about the device’s ability to wash that dirt away. The volume of water is labeled in gallons per minute, or “GPM.” The Worx Hydroshot, for example, can deliver 0.53 gallons per minute, while the Sun Joe SPX3000 delivers 1.76 gallons per minute. Do you need accessories with your pressure washer? Some power washers come with useful add-ons, like the AR Blue Clean, which will arrive with two different washing wands, a 20-foot hose, a 14-ounce detergent bottle and two “quick change wands” with variable nozzles. The Ryobi 14122 model comes with an on-board detergent tank in case you want to use soap, as well as a 25-foot hose and three nozzles. To ensure that your electric pressure washer has a long life, you’ll want to perform regular maintenance and cleaning procedures as outlined in the user manual. If you’ve never used an electric pressure washer before, you may consider testing it on a hidden surface until you get the hang of using it. Another factor you may want to consider before purchasing an electric pressure washer is how environmentally friendly it is. The AR Blue Clean, for instance, uses 80 percent less water and 40 percent more power than the average garden hose. For the Electric Pressure Washer category, we analyzed 76 of the most popular reviews including reviews from New York Times Wirecutter, Top Ten Reviews, Consumer Reports, BestReviews, Best Products, The Spruce and more. The result is a ranking of the best Electric Pressure Washers.